When the author bought a falling down fortified house on the Staffordshire moorlands, he had no reason to anticipate the astonishing tale that would unfold as it was restored. A mysterious set of relationships emerged amongst its former owners, revolving round the almost forgotten artist, Robert Bateman, a prominent Pre-Raphaelite and friend of Burne Jones. He was to marry the granddaughter of the Earl of Carlisle, and to be associated with Benjamin Disraeli, William Gladstone, and other prominent political and artistic figures. But he had abandoned his life as an artist in mid-career to live as a recluse, and his rich and glamorous wife-to-be had married the local vicar, already in his sixties and shortly to die. The discovery of two clearly autobiographical paintings led to an utterly absorbing forensic investigation into Bateman's life. The story moves from Staffordshire to Lahore, to Canada, Wyoming, and then, via Buffalo Bill, to Peru and back to England. It leads to the improbable respectability of Imperial Tobacco in Bristol, and then, less respectably, to a car park in Stoke-on-Trent. En route the author pieces together an astonishing and deeply moving story of love and loss, of art and politics, of morality and hypocrisy, of family secrets concealed but never quite completely obscured. The result is a page-turning combination of detective story and tale of human frailty, endeavor, and love. It is also a portrait of a significant artist, a reassessment of whose work is long overdue. I am not even sure how to begin. A full five star rating does not give this beautiful work enough merit. What Nigel Daly and his partner Brian Vowles have done is a stroke of pure genius! 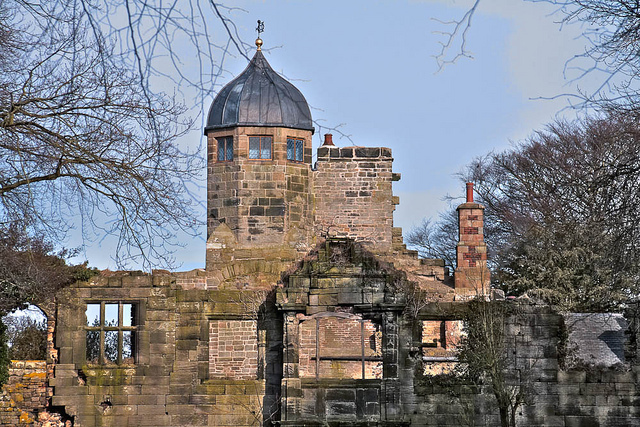 This is not a biography folks; The Lost Pre-Raphelite begins with the setting of a home called Biddulph Old Hall, the remnants of a great Elizabethan mansion on the Staffordshire moorlands. You see, due to author Nigel Daly's day job dealing in antiques and restoring houses, his presence at Biddulph Old Hall leads to the discovery of one former owner, Robert Bateman. Robert Bateman was a rather unsuccessful, not very well-known, nineteenth century artist with some very now infamous friends. For instance, a young man named Edward Burne-Jones, Rossetti, and Simeon-Solomon are brought into the fray as well. Once Nigel Daly's interest in the house and its history is piqued, well, hold on readers because you are in for an incredible artistic journey getting to know a fascinating recluse, Robert Bateman and his wife, Caroline Octavia Howard. Her marriage to Bateman was her longest but her second marriage and without giving much away let's just say that fact is very important to know beforehand. Take a good long look at that woman on the book cover in the painting by Robert Bateman called, 'The Artist's Wife' that's her! 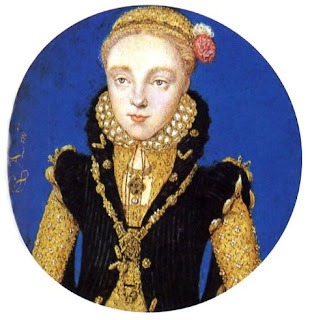 She was related to one of the most prominent nineteenth century families The Howards and cousin specifically to painter, George Howard, ninth Earl of Carlisle and his wife Countess Rosalind Howard. From the Introduction, I was engrossed and found myself begrudgingly only putting the book down when I had no choice. Nigel and Brian write not only detailed and descriptively on geographic settings and locations but manor house period room furnishings and restorations. Dear Reader the entire book is broken up into six parts, chronologically according to the life span of Robert Bateman and his wife Caroline Howard. 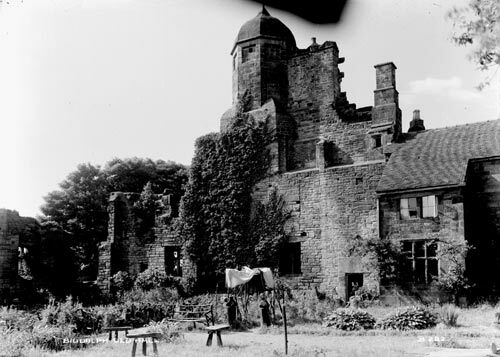 I loved reading about the interiors of Biddulph Old Hall including gorgeous photographs leaving nothing to the imagination in a very good way! I felt as if I was on a manor house tour with both of these passionate men and when they discover Robert Bateman's presence hidden within the interior of Biddulph well, then more fun begins. The Lost Pre-Raphaelite changes in tone and texture with the 'artistic' discovery of artist RB-Robert Bateman and with each passing chapter his life unfolds from a young single recluse of a man living very Wagnerianesque to a happily married man still artistic, still creative, still passionate until his last days. Not only will the readers read about these beautiful manor homes throughout England, they will read Nigel and Brian's exquisite background on all of Robert Bateman's paintings including catalogue notes and family anecdotes! The Lost Pre-Raphaelite is a journey of discovery about one man's artistic life as he viewed the world through his paintings. For those are his legacies containing clues that he left behind. This is a detective story in the sense that you discover the human being behind the artist. Nigel and Brian take you through Robert Bateman's life into old age and trust me you do not want to miss this book. 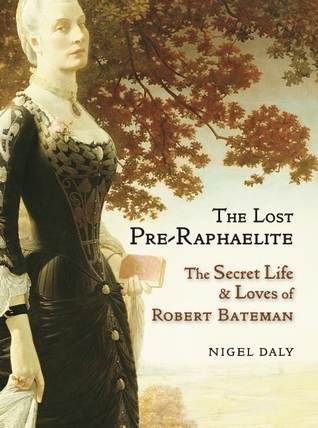 If you are an art lover of the Victorian era, or even The Pre-Raphaelites then please check out The Lost Pre-Raphaelite by Nigel Daly. I absolutely loved this entire book and it belongs on every art lovers shelf! I hope you will enjoy it and all the discoveries along the way! I have to wholeheartedly thank Karen at Wilmington Square Books an imprint of Bitter Lemon Press, publishing company for sending me a review copy. 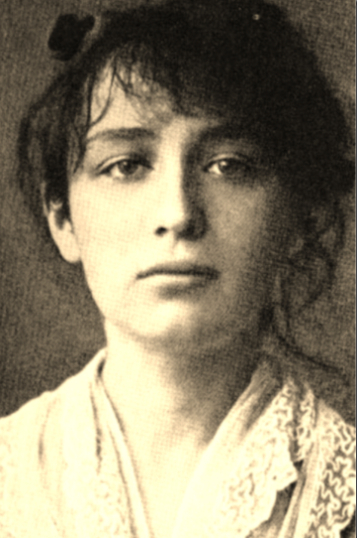 You note The Lost Pre-Raphaelite is not a biography, rather it is a detective story of sorts. And I am assuming it is not fictional, even in parts. My students will appreciate the "contribution to our knowledge of Victorian painting, Victorian gardening, and the crippling rule of Victorian social convention" as the publishers said.. I hope you will read The Lost Pre-Raphaelite for yourself and then you will be able to pass it on to your students. Thanks for stopping by and commenting. Nice to see you here. I always enjoy your reviews and can't wait to get this book. It sounds fascinating! I am so glad you enjoy my posts and thank you for stopping by and commenting! I hope you enjoy The Lost Pre-Raphaelite by Nigel Daly. Definitely makes me want to buy it. Great review. Thanks. Thanks Melinda for stopping by and commenting. 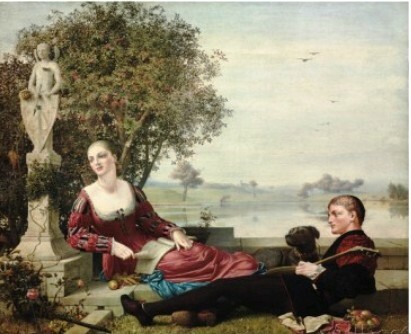 I know you will really love The Lost Pre-Raphaelite. I agree with all the above. A fascinating review, makes me want to read the book. I have to read this! It sounds WONDERFUL! I hope you both decide to buy it and read it. I know you will both enjoy it immensely! I am currently reading this book...and absolutely loving it. I feel like I am on the journey along with the author. It is beautifully written and I want to stay in that world of long lost history forever! Thank you, Kimberly for an amazing commentary and review! I am thrilled you're enjoying The Lost Pre-Raphaelite so thoroughly. Thank you so much for letting me know and commenting.